I love that Birchbox comes with a list of your items, but Ipsy sends you an email with a list of the products. Ipsy comes with a small card, but it is just the month's promotion, not a list with tips on how to use your new samples. Eyeko came in both boxes! This never happens! I never get one brand in both boxes!!! In the Ipsy box, I got Eyeko's eyeliner and in my Birchbox, I got Eyeko's Brow liner. 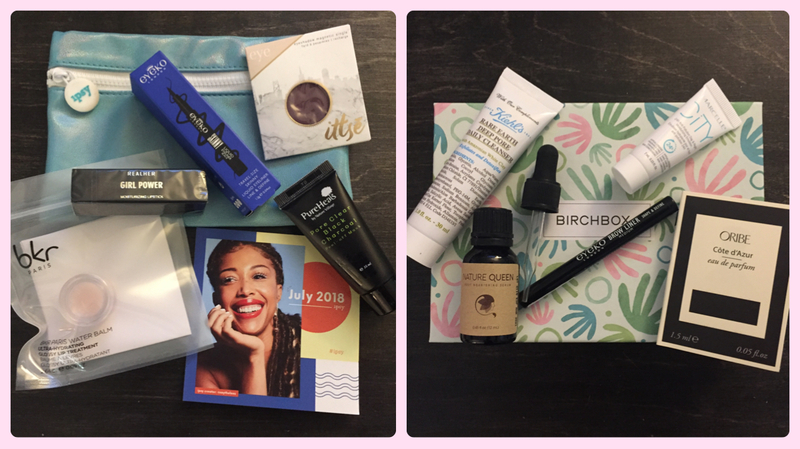 Birchbox's 5 samples for July are ALL amazing. I feel like it almost never happens with Birchbox. This month, I love the light parfume from Oribe, I need the hair serum for my lackluster and thin hair, I am in LA and obviously need anything anti-pollution for my skin, ADORE anything from Kiehl's, and love to do my brows so trying Eyeko's liner will be fun! Ipsy's 5 samples for July are ALL good, but not amazing. 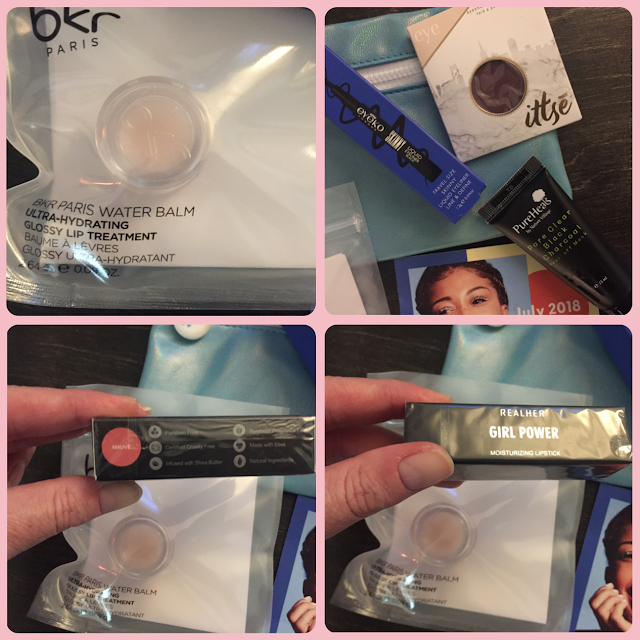 I do love the charcoal peel mask, the mauve color of the RealHer Lipstick, and the Eyeko liner, but I have not tried the Ittse eyeshadow or the bkr Paris water balm, but they both look like they are good quality. The blue Ipsy bag is adorable and perfect for summer. So, who is the winner for July? BIRCHBOX! I love all the samples and can't wait to play with them. It has been a long time since I have felt this way!!!!! I recently gifted myself a year subscription to find out: Could IPSY be better than Birchbox? I will be revealing what they sent me each month in this blog series to determine a final winner in the end. I hope you are enjoying my Subscription Box Battle. Join me next month when the battle continues!